Gold Country Custom Homes, a premier Custom Home Builder in the Sierra Foothills geared toward optimizing build cost with the highest quality of finishes using our 30 years of building experience. Visit our web site for more client reviews! Gold Country Custom Homes, Sacramento Foothills will certainly have a new home design that will satisfy your individual needs, and if not, their designers are specialists in custom home designs, and are able to work with you to design any conceivable size and shape of custom home you desire. Gold Country Custom Homes also have a variety of lots of land to choose from, or can build on your lot in or around Placer, Sacramento, El Dorado and Nevada Counties. Structerra is a full-service builder, providing expert general contracting and project management services to the very best custom home and renovation clients in Northern California. We professionally manage and execute all aspects of the most demanding and detail-orientated construction projects, large or small. Our focus is on building architecturally distinct, eco-conscience projects of exceptional quality. We take pride in our ability to execute the most challenging designs, ensuring that the built product compliments the vision of the Owner as well as the design intent of the Architect. Our attention to detail and team approach results in a built environment that fuses naturally with its surroundings. At Structerra, we believe building or renovating a home should be fun! It is our goal to make your building experience a happy journey, which will lead to a place you can truly call home. El Dorado County's Fine Custom Homes for over 40 years! At Sherman Homes, our goal is to not only help you design and build your dream home, but to make the process easy and enjoyable for you. We are a full-service design/build company with a wide range of experience. We can help you with all phases of new home construction and remodeling: finding and procuring suitable land, architecture, design and building your home. Our excellent reputation and long list of satisfied clients attest to our superior craftsmanship, attention to detail, clear communication, honesty and integrity. Just ask for our client reference list. Let's discuss your ideas! Your free consultation is just a phone call away. McKenzie Homes is an elite general contractor proudly serving the greater Sacramento area, including El Dorado and Placer counties. We have over 25 years experience in new home construction and pride ourselves on our high construction standards and quality of workmanship. 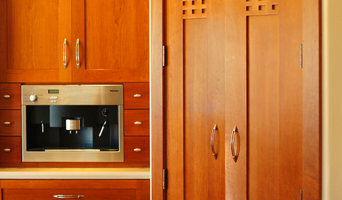 We specialize in all types of interior renovations, home additions, and custom home building. We take pride in our customer service, professionalism, and attention to detail. We look forward to earning your business, and exceeding your expectations. Call today to schedule. We are a specialized custom home builder and remodeling contractor based in Woodland, California and working throughout the greater Sacramento area. Our primary goal is client satisfaction. This is achieved through our attention to your desires, transparency in our documentation and actions, and our commitment to quality. This creates an enjoyable construction process while delivering a customized living space that will last for years to come. We believe that quality is achieved through excellence in project design, material selection, and craftsmanship. Quality construction therefore must: desire aesthetics, require functionality, demand efficiency, build for longevity, and limit environmental impact. We are committed to maintaining an attitude and culture of excellence. This objective requires us to repeatedly evaluate, and improve ourselves and our performances. Yesterday’s goals will become Today's achievements, and Tomorrow’s standards. Our future depends on it. Bradley Builders is a strategically located Development Company located in Carmichael, CA. We are a family owned business that was founded in 2003, by owner, J.T. Bradley. The owner personally over sees every project that is done for your security. Bradley Builders principals possess a keen familiarity with the neighborhoods, ordinances, design approval, procedures, and permit processes, and that has made us extremely popular and reputable in the Sacramento, Placer, El Dorado and Yolo Counties. Bradley Builders offers a full range of Owner Representative Development Advisory Services that has historically not been available under one roof directly to homeowners and commercial property owners alike. Brink Custom Homes builds extraordinary custom homes that reflect our commitment to unparalleled craftsmanship, ardent attention to detail and impeccable customer service. Our goal is to be a diligent steward to our discerning clients by anticipating their needs and exceeding their expectations. At the helm of every Brink Custom Homes project is John Brink himself. With 40 plus years of building experience, the Brink name is synonymous with high quality, legacy homes in Lake Tahoe, Truckee and beyond. Our team is comprised of the finest architects, designers, engineers and master craftsmen. We collaborate with the best of the best. We have a reverence for detail and believe that every detail is deliberate. Whether it’s a stunning Tahoe-style lakefront residence or a contemporary golf community home, we have an intense resolve to produce stellar results. S.D. Olsen Construction is a small locally owned and operated high-end custom home building construction company offering quality construction at a reasonable price. The company was started by Steven D. Olsen in 1979. S.D. Olsen Construction has been serving Sacramento County, Placer County and El Dorado County ever since. S.D. Olsen Construction has built over fifty one of a kind, custom homes for very satisfied home owners. Steve’s business philosophy is to give his clients the most information he can up front, so that they can work together as a team during construction and enjoy the process of building the home together. Steve believes he has a system that is time tested. Throughout his thirty years of custom home building experience, he has taken his knowledge and developed a system for breaking down the components of building a custom home. He lays this out in a very straight forward Cost Breakdown and Specification document. He tries to do the bulk of the planning up front so his client has full knowledge of what finishes to expect in the final product. Typically Steve will be referred by either an architect, past client or a real estate agent involved in a particular development that he has worked in. If a client comes to him early on in their decision for purchasing a lot for their new home, he will meet them at the lot and discuss the pros and cons of building on that particular lot. He will even do a cost comparison between building on one lot as compared to building on another lot. Statewide specializes in fire restoration and repair of damaged residential and commercial properties. We are a premier general contractor, licensed, bonded and insure in California, Washington and Oregon. Statewide draws upon a team of more than 150 employees, many with more than 30 years of experience, including in house design, estimating and production teams. Working in cooperation with your insurance adjuster, Statewide provides free of charge, a fully staffed team to handle all your insurance and mortgage communication needs and assisting you in navigating the claim process from the initial job-walk through welcoming you back into your home. VisionCraft Builders is general contractor that builds custom homes, does remodels and updates to existing homes as well as historic restorations. We are quality driven and we believe in the value of quality and attention to detail in all we do. Our goal is to fully understand your wants and needs and to provide you with a positive and enjoyable construction experience. We work closely with each of our clients to fully understand their specific needs and desires and then we assemble a construction team to specifically meet the unique needs of your project, including design professionals if you need them. With more than 35 years of experience in the Commercial and Residential construction industry, we know how to build a high performance teams that can make the vision that you have for your specific project a reality. We know what it takes to build a great project and how to fully satisfy the needs of each and every one of our clients and we urge you to contact us today to experience the VisionCraft difference. Henley Homes specializes in Custom & Luxury New Home Construction along with Comprehensive Whole House Remodels. Building the West’s finest custom homes has been our passion since 1995. At M.D. Construction, we draw upon extensive knowledge and experience to craft breathtakingly beautiful, truly personalized homes that are as unique as our discerning clients. While our skilled craftsmanship results in exceptional homes, our commitment to effective communication ensures a timely and enjoyable building experience. Currently Using cloud based communications to insure up to date client information and communication with all our partners in your project. As a fully integrated design-build firm, M.D. Construction guides clients through all phases of the construction process – from purchasing land and obtaining permits to design and material selection to construction and finishing – all while staying on time and on budget. Bruce Olson Construction was formed in 1974 with Bruce working alongside his crew, building simple homes of quality for discerning clients. Over the years, his reputation grew as did his scope and scale of work. Bruce prefers to have his own tradesmen perform nearly all work on a project, avoiding the outside influence of scheduling conflicts and variances in product and quality inherent to the use of subcontractors. Most other builders only aspire to achieve the quality of his homes and the high standards he demands. Bruce Olson is known for Old Tahoe style designs, hallmarked by an approachable feel and perception even to large structures, rustic native materials that bring texture depth and durability, repetition of detailing, prominent and well-proportioned fireplaces, deep roof overhangs, shed or gabled dormers, a nature color palette, integrated indoor/outdoor spaces, exposed detailed beams and rafters all blending the structure into its surroundings. We provide experience and creativity to make your dream home come true within your budget. 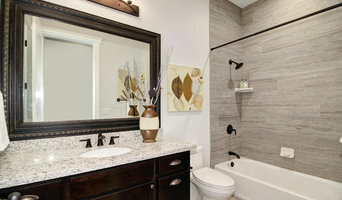 We can also remodel your existing home so it will look new and up to date. If it is just repairs or restoration that you need, we can provide those services as well. 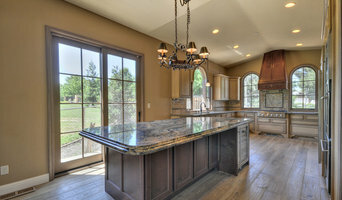 The C. Scott Whitten, Inc. Company provides products, such as custom homes and remodeled homes, as well as several construction related services which include: • Construction Consulting • Home & Commercial Property Inspections • Expert Witness Testimony • Forensic Investigations and Insurance Code Appraisal services. For Pilot Hill residential home builders who also act as developers, the job starts well before the first nail is driven. They perform local market research to determine whether the prospective homesites make sense in the Pilot Hill, CA market, as well as survey the land on which the house will be built to make sure it is suitable for construction. Custom builders also obtain the necessary permits. A good custom home builder in Pilot Hill, CA has skills that go far beyond construction — he or she must supervise subcontractors and artisans; keep tabs on local zoning regulations, building codes and other legalities; inspect work for problems along the way; and perform dozens of other roles that are essential in building a quality house. Here are some related professionals and vendors to complement the work of home builders: Interior Designers & Decorators, Landscape Architects & Landscape Designers, Architects & Building Designers, Kitchen & Bath Designers, Specialty Contractors. House builders are responsible for ensuring that the home-building project sticks as closely as possible to the specified timetable, particularly in the event of change orders. Custom and luxury home builders in Pilot Hill, CA also need interpersonal skills to deal with clients of all types, soothe frazzled nerves, negotiate conflicts and resolve problems. Find custom home builders in Pilot Hill, CA on Houzz. Narrow your search in the Professionals section of the website to Pilot Hill, CA home builders. You can also look through Pilot Hill, CA photos to find a house you like, then contact the builder who worked on it.